Bikes can change the world. I know this because I've seen it firsthand. In most rural areas around the planet, people have limited or no access to cars or public transport and walking is their only mode of transport. A bicycle can have an incredible impact on their lives. A bicycle can not only help children get an education, it can lift a community out of poverty, it can save a life. Through my travels and work with my tour company Sacred Rides, I visited a lot of rural areas in the developing world where lack of access to reliable transportation provided a significant barrier to escaping poverty. Farmers often have to walk long distances to get to their fields or get their crops to market. Children often walk up to 4 hours a day to get to and from school. Health workers walk long distances to get to patients, clinics and hospital. At Bikes Without Borders, a charity I co-founded with my wife Tanya, our goal is to use bikes as a tool for development in communities in need. 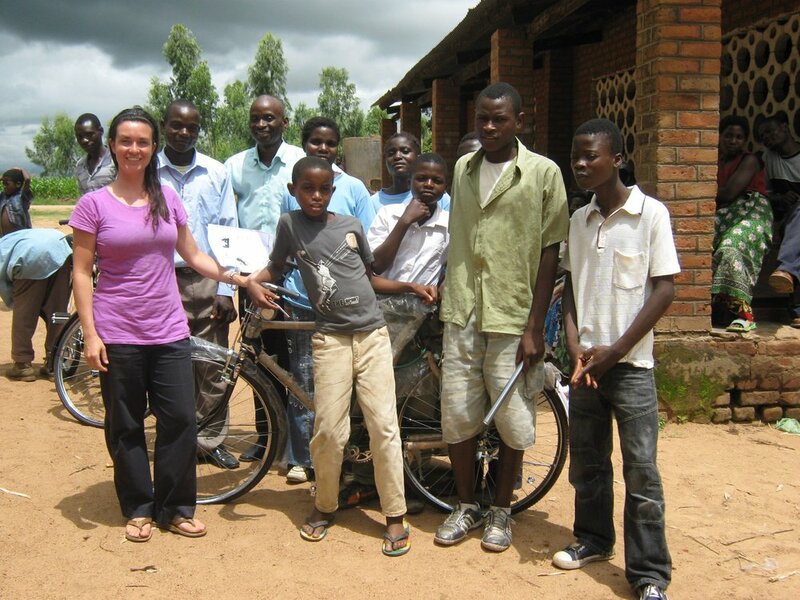 We do this both locally, through our Great Bike Recycle program in Toronto, and internationally, through our Pedal Powered Hope program in Africa. Bikes can change lives. I hope you think so too and will consider supporting the important work Bikes Without Borders does.